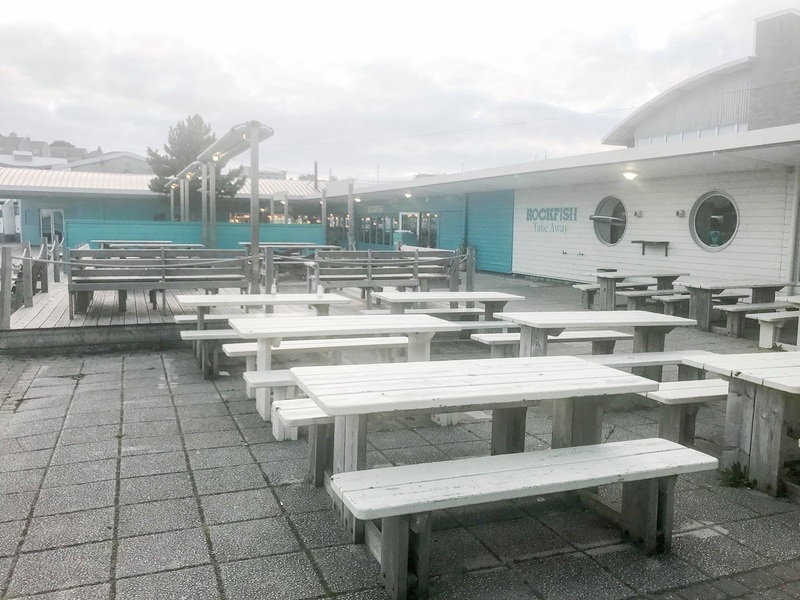 On September the 9th, Josh and I took a trip to Plymouth Rockfish, a seafood restaurant which is located on Sutton Harbour and it is right next to the National Marine Aquarium. 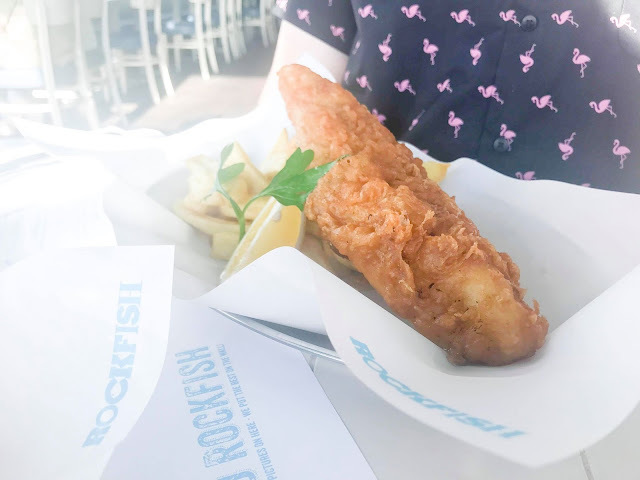 I was very lucky to be invited here on a blogger trip to review the restaurant and the menu which was a really amazing experience so first, thank you to the team at Rockfish for having us! The waitresses and waiters that served us were really lovely and welcoming which definitely helped to reduce my anxiety as I had never done something like this before. They made sure that we had everything we needed and their hospitality did not go unnoticed. 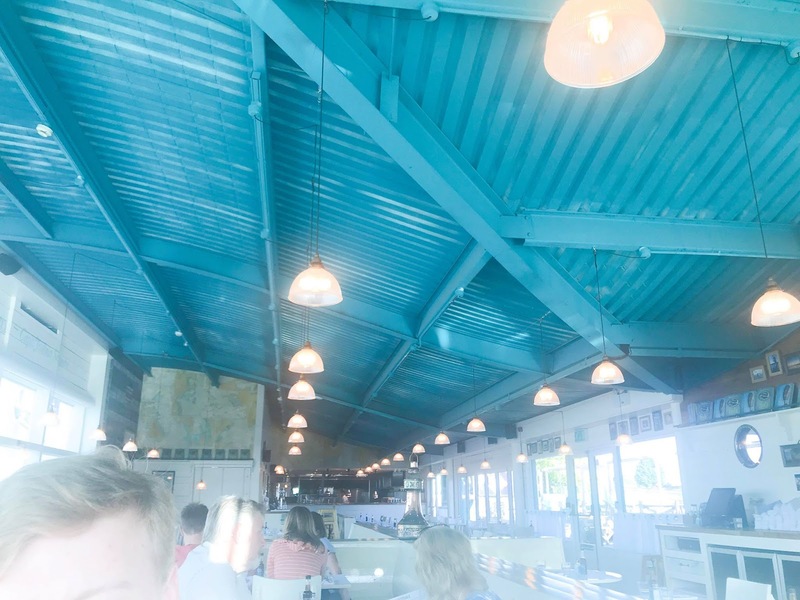 Let's start with the interior of the restaurant and the view - basically, it's absolutely beautiful. 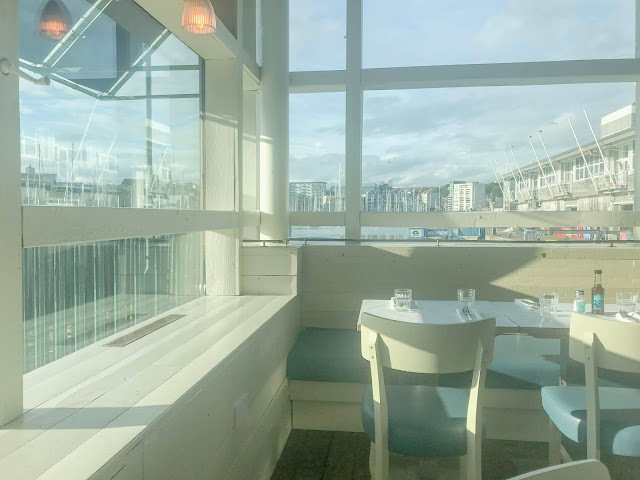 I thought that the restaurant felt quite open and we didn't feel as though we were right on top of the other restaurant guests which is always a positive because let's be honest, everybody likes a bit of personal space and privacy; especially when they are eating. The table that we were given had a great view so we could look out on to the water and also, there were no wasps to be seen which is just a great thing for me to be honest because if you've read my Amsterdam posts, you'll know that I have the biggest phobia of wasps and that would have just ruined the meal for me. So, we got to enjoy a lovely view without any distractions from wasps, automatically a good start really. 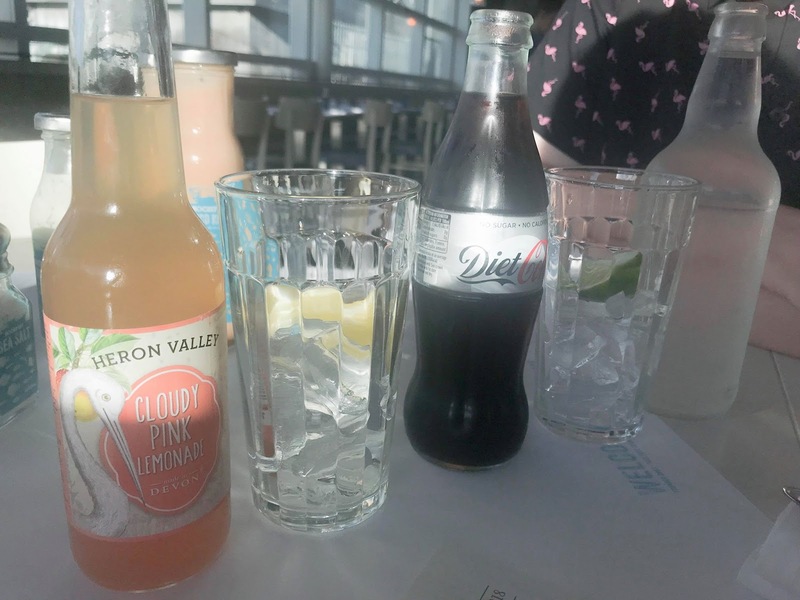 For drinks, I went for a Cloudy Pink Lemonade which was really lovely. I'm usually really fussy with drinks, especially things like pink lemonade but I really enjoyed this and I actually finished it. If you know me, I never ever finish drinks so that says a lot. Josh was boring and just went with a Diet Coke so there's nothing much to say about that. 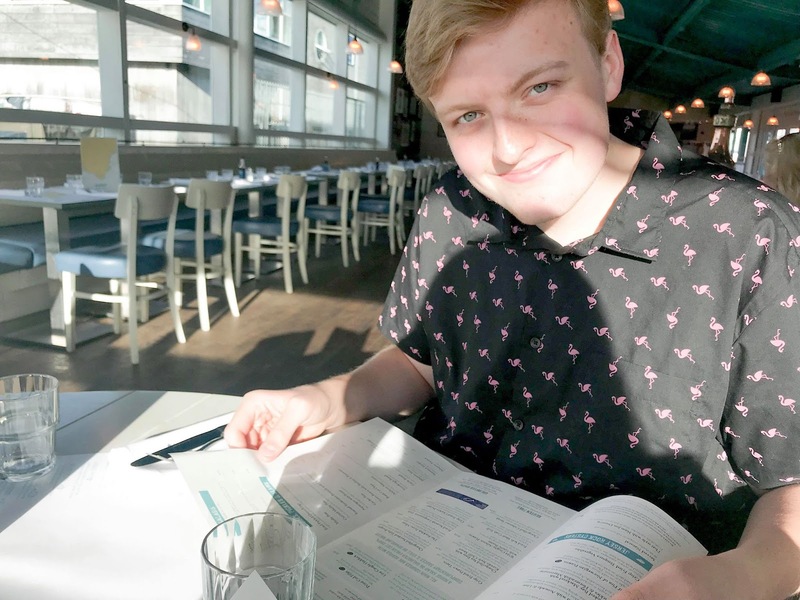 After looking at the prices on the drinks menu, I can confirm that they are very reasonably priced and there is quite a lot of variety. I was also tempted by the cranberry fizz and the pure orange juice because you know, you can never go wrong with a glass of orange juice. 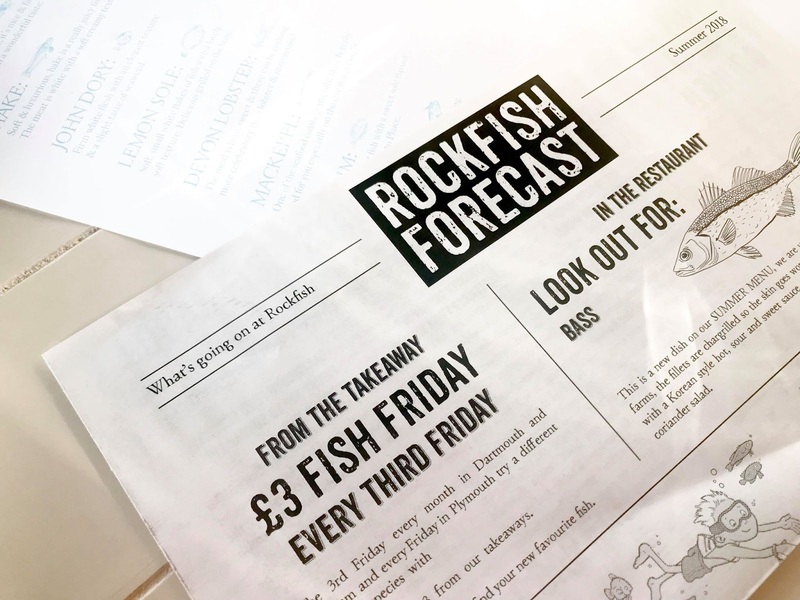 While we were waiting for our food, we were handed the Rockfish Forecast which is a newspaper where they share all of the things that they have going on at the moment. I thought that this was a really pleasant touch to the whole experience as it gives you something to read through while you are waiting. However, the wait time was not long whatsoever, which we were happily surprised with. I decided to go for the Crisp Fried Chicken Burger because of course, I'm the type of person that orders a chicken burger at a place that primarily specializes in fish. The price of this with fries is £12.95; a really reasonable price considering the size and quality of the meal. 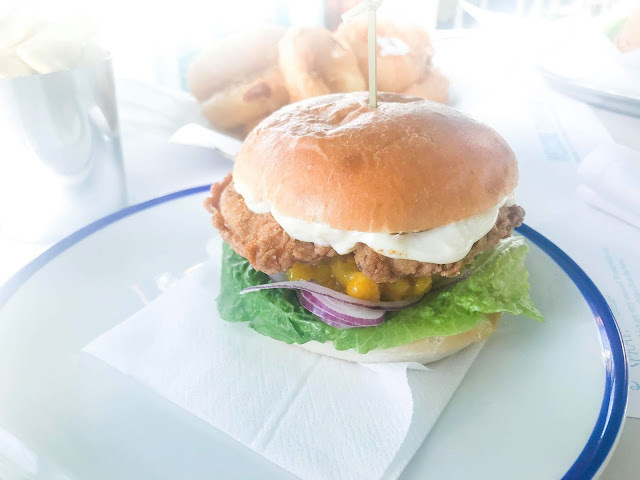 The burger consists of a crisp fried chicken breast with curry spices with a lightly curried sweetcorn relish, red onion and fresh coriander in a brioche bun. It was really delicious and it's definitely something that I would order if I visited the restaurant again. The only thing that I wasn't so sure on was the sweetcorn relish; it wasn't bad but I've never tried something like that before so I just found it a little bit odd. For a side, we decided on a plate of onion rings to share. 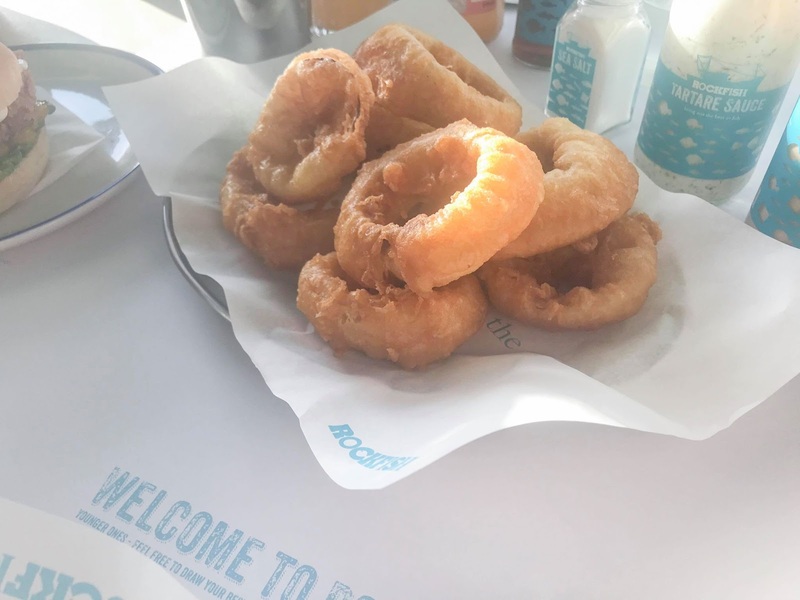 We couldn't finish them but they tasted amazing and I'm usually really fussy with onion rings. 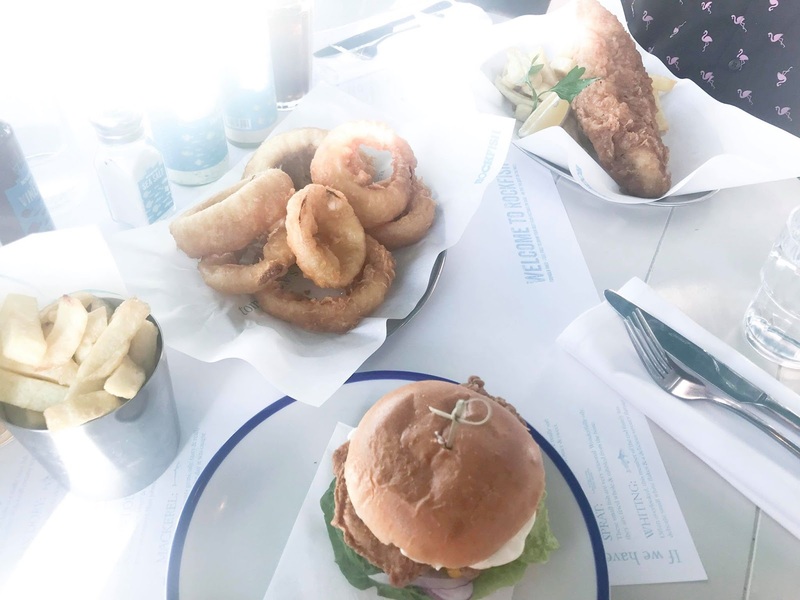 On the menu, they are priced at £2.95 which is super affordable for a side for two people. 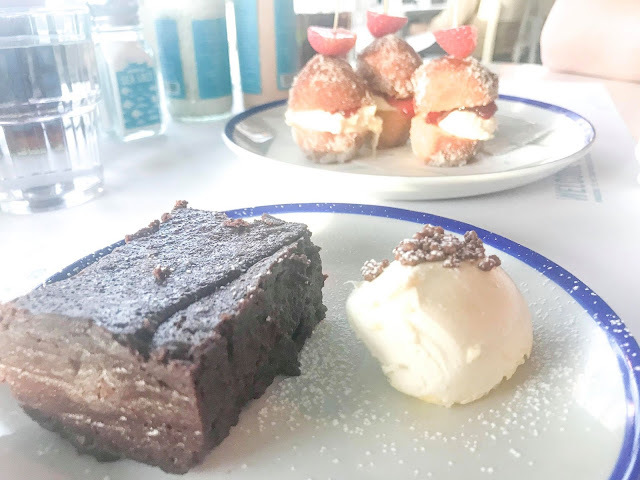 By the time it got to getting desserts, we were both incredibly full but just knew we had to force ourselves to get something on the dessert menu because it all sounded amazing and we all know I would have regretted it later on in the evening if we didn't end up getting dessert. I decided to go for the Chocolate Nemesis and on the menu, it is described as being "a wonderfully rich soft cake for the chocolate lover, served with clotted cream" and let me tell you know, it was very rich but it tasted so good too. I don't like clotted cream so I can't comment on that but the cake itself was really lovely and despite my sickness only being enhanced by the richness of the cake, I would definitely order it again. Also, on the menu, it is only priced as £5.95, which really isn't too bad for the quality of it. I know that I've paid more before for things that just didn't taste as good. Josh went for the Rockfish Fried Cream Tea. 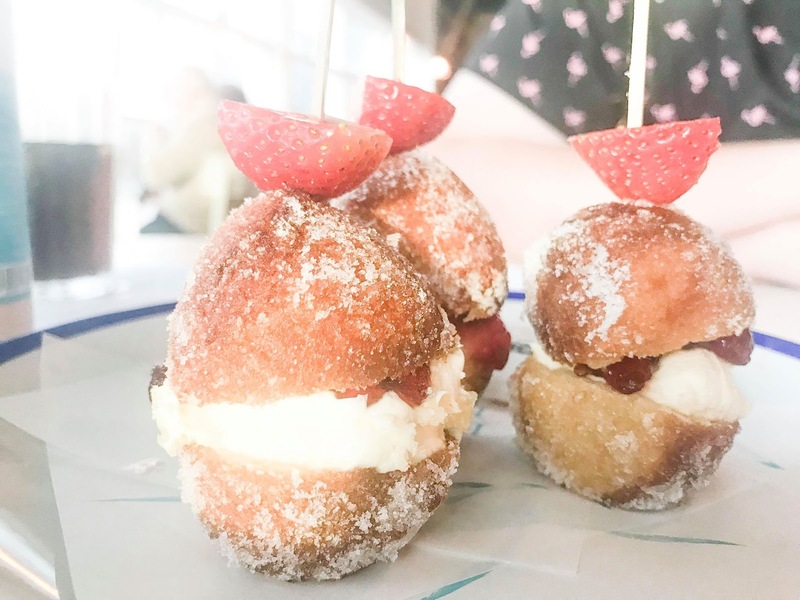 This consisted of freshly fried doughnuts, filled with clotted cream and strawberry jam. We had never tried anything like this before so we were both really intrigued and at only £4.95, you really can't go wrong. It was a really pleasant dessert but the only thing I will say is that the jam can get a little messy so, have tissues at the ready! 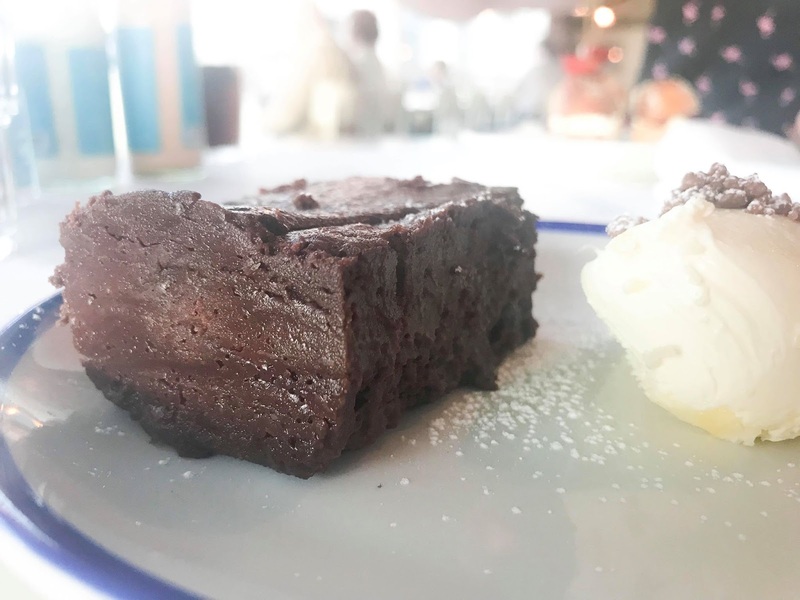 Overall, we really enjoyed our experience and meal at Plymouth Rockfish and we will definitely be returning at some point in the future and I would definitely recommend it to you, if you are in the Devon area and looking for somewhere new to go and eat! 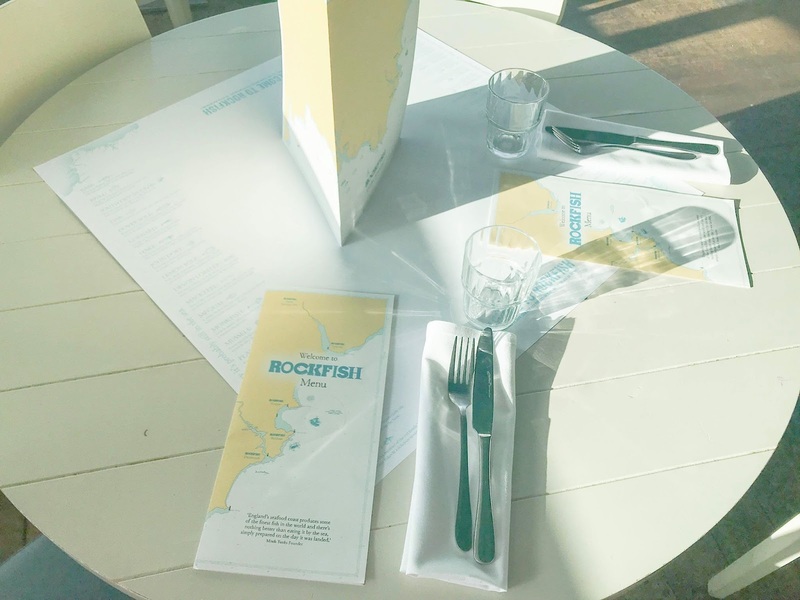 Have you been to Rockfish before? What's your favourite restaurant? Let me know! I don't know what looks better, the fish or the dessert! The food looks delicious! I've never been to The Rockfiah, in fact it's been nearly 10 years since I last visited Plymouth which is a shame as it's a great area. 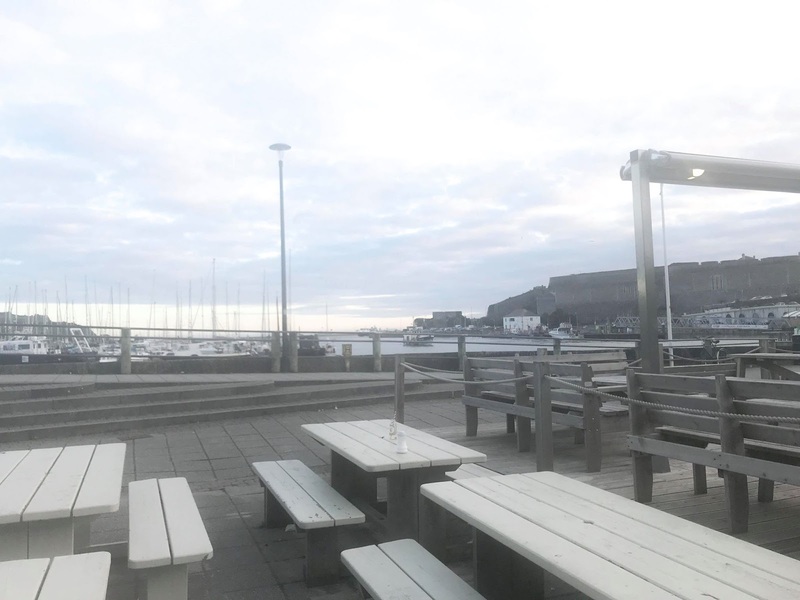 I'll definitely have to go back soon and come here to eat - I love a harbour or sea view while I'm eating and bonus points that it's near the aquarium.